19 Comments As an Amazon Associate I earn from qualifying purchases. Today I bring you fun with St. Patrick’s food. We have had a great time with our “Fun with Food Days” in the past. There was the original “Fun with Food” day and then the “Valentine’s Fun with Food.” Well, I just had to do it for St. Patrick’s Day. It has become a tradition. Do you like to tranform food for holidays too? You are in the right place. Breakfast was shamrock pancakes. I have a heart shaped pancake pan. Although I couldn’t find that on Amazon for you, I think you would enjoy these heart shaped pancake and egg rings and find many uses of them. Just add green food coloring to make shamrocks or red food coloring to make hearts for Valentine’s Day. There are so many uses! 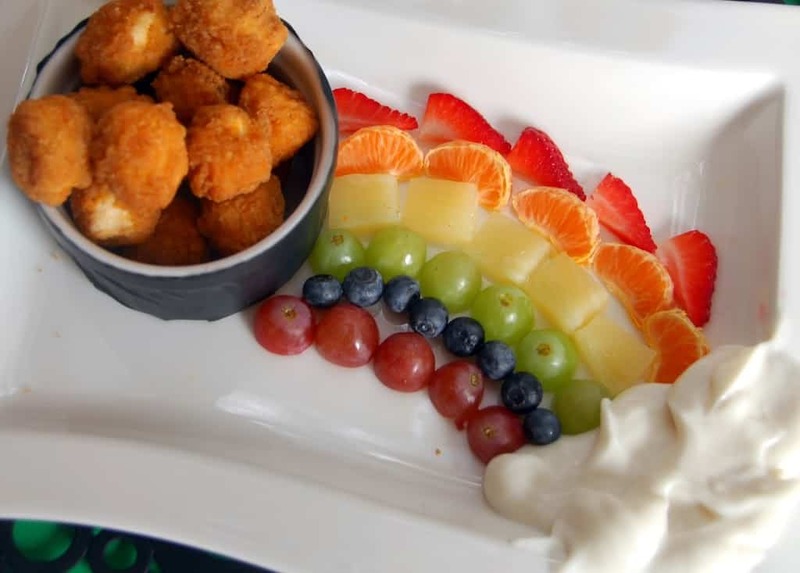 Lunch consisted of chicken nuggets gold at the end of the fruit rainbow. The cloud is vanilla Greek yogurt. New favorite snack – fruit dipped in vanilla Greek yogurt. This is so yummy. Any child would be delighted to see this served up any time of year. It sparks a child’s imagination. Snack was shamrock kiwi and grapes. Cut the grapes in half to create the smaller shamrocks. 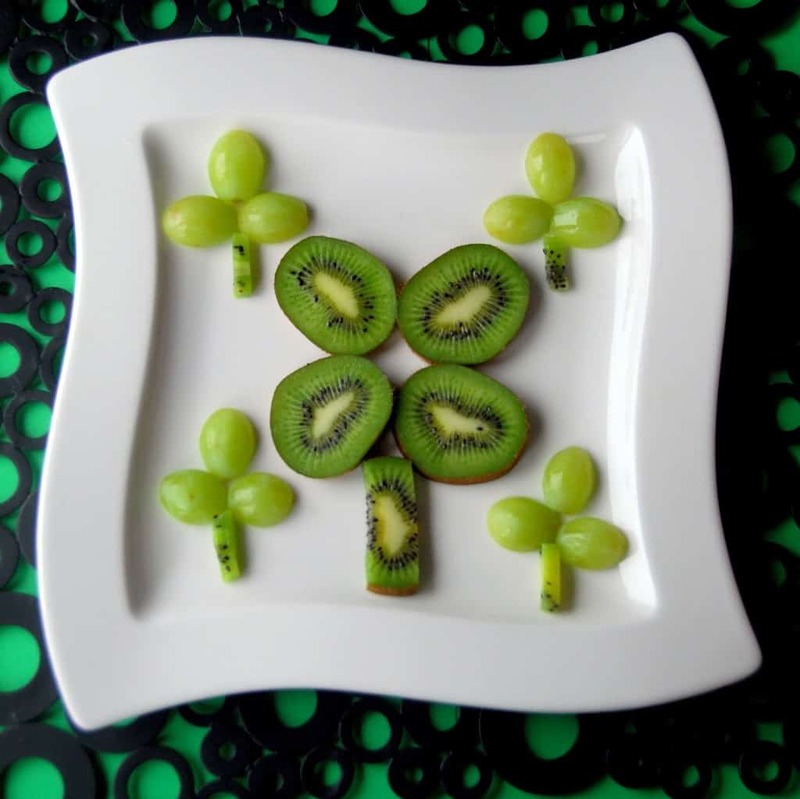 Cut the kiwi in slices for the larger shamrock. Did you know that you can eat the skin of kiwis? I’ve always served it to my kids this way. It provides a lot more nutrients. 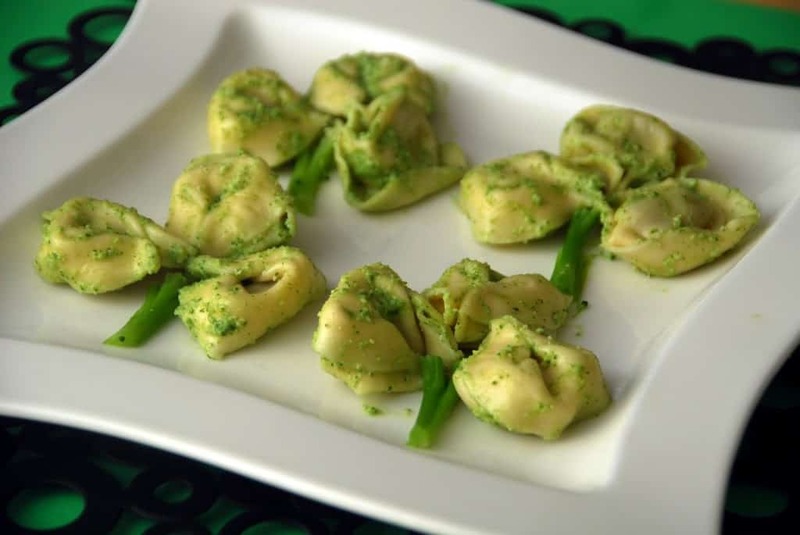 Our last meal was pesto tortellini with broccoli. Another fun with food day complete. Every meal – all day – for St. Patrick’s Da. 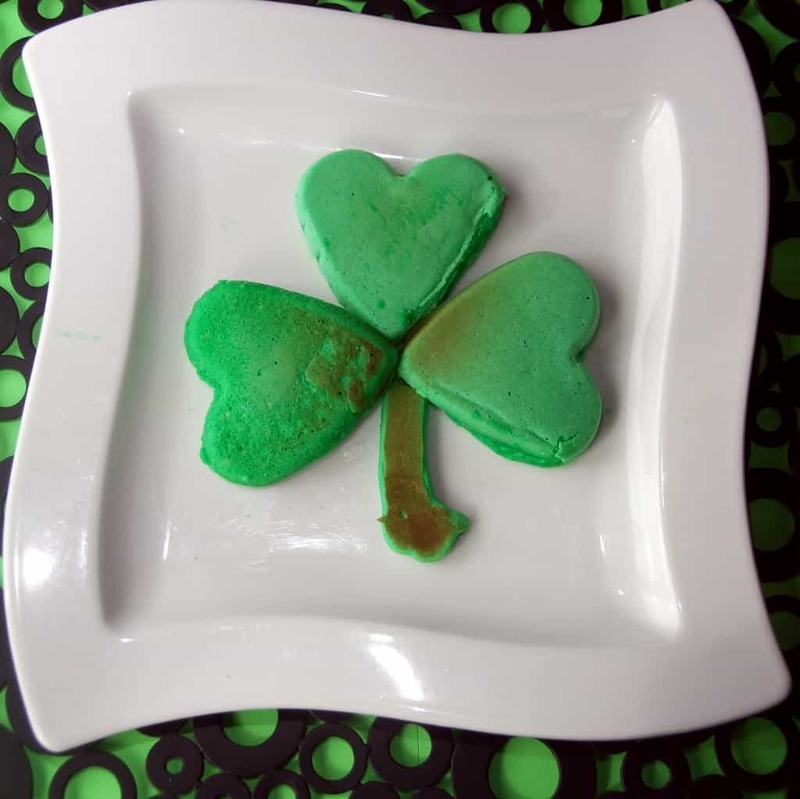 I hope you will have a lot of fun creating your own fun food on St. Patrick’s Day. Enjoy! This post was originally written in March of 2012. It was re-vamped and re-published in March of 2017. Thanks. These fun with food days are some of our favorites. So creative !! I love it! Oh, wow, by the way, I just saw your new button! I must grab that right now as you are one of my #1 blogs I follow daily! Love it! Too cute! You have my husband to thank for the button. The wonderful guy took time at work (he’s self employed) to make it for me as a surprise. These ideas are so creative! I LOVE St. Patty’s Day! Thanks for linking up to Thinky Linky Thursday! You totally should. I bet she would love it. Thanks for commenting and following along. Thanks so much, Angie! It was pretty easy to do too. So many cute ideas…and I love that it is all stuff my boys will eat! I especially love the tortellini! You have some really cute, creative ideas! I especially love the kiwi and grapes, and the rainbow of fruit (I am vegan and gluten free). Thanks so much! I appreciate you commenting. We have a lot of fun with our food around here.